Steven (Chicagoland, United States) on 25 July 2012 in Cityscape & Urban and Portfolio. 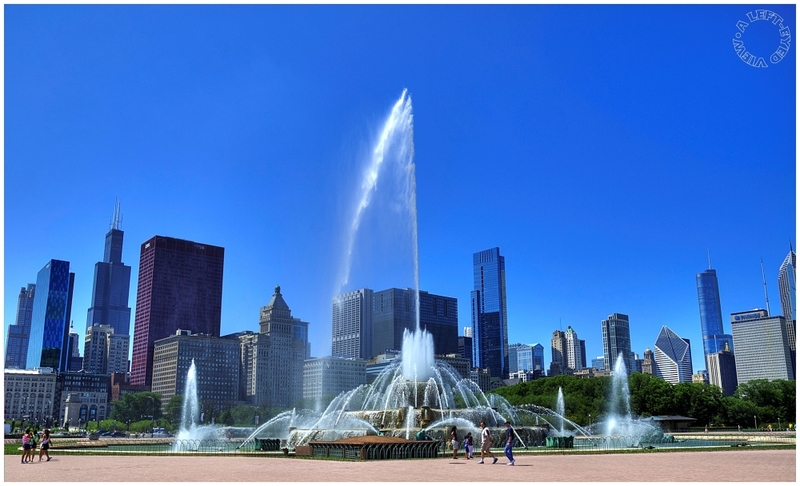 Buckingham Fountain spotted in Grant Park in Chicago, Illinois. The fountain shoots water so high into the sky that winds off Lake Michigan can carry the water "spray" west to Columbus Drive and Congress Parkway. A magnificent shot of a gorgeous urban scene. Wow - fabulous skyline with this majestic fountain in the foreground! A fabulous capture with beautiful colours. A very beautiful city. Well done ! Beautiful composition, and I love the sense of scale provided by the people here. Well done! Very beautiful capture with fantastic skyline background . I love the blueness and vitality of the image ! Great composition Steven ,this is one cool fountain. This is a wonderful capture of not only the fountain, but the skyline against that beautiful sky! I like the water sprays against the graphic of the buildings. very nice. Excellent pov. You know, during this hot, hot weather, an unexpected stray spray could be a very welcome thing!! Superb photo with beautiful colours. This city is very nice. Excellent work Steven. Have a lovely afternoon. Amicably Antoine. wonderful pov and angle, and an incredibly blue sky !!! Beautiful water display in the fountain and cityscape ~ great shapes and colors ~ fantastic photo! Outstanding sharp photo of this wonderful fountain and the impressive city skyline !!! The sky is gorgeous .. Fantastic image! The fountain with the city in the background is spectacular! Beautiful cityscape. Very well done. Superb capture! Love the framing! Perfect framing of the fountain. A very beautiful image.